Set at a private beach this adults only hotel offers all you may look for a perfect holiday at the Caribbean Sea. This huge resort boasts besides18 restaurants, numerous outside bars and even a swim-up bar, two golf courses, evening entertainment with live shows and casino and a wide range of local sport activities. 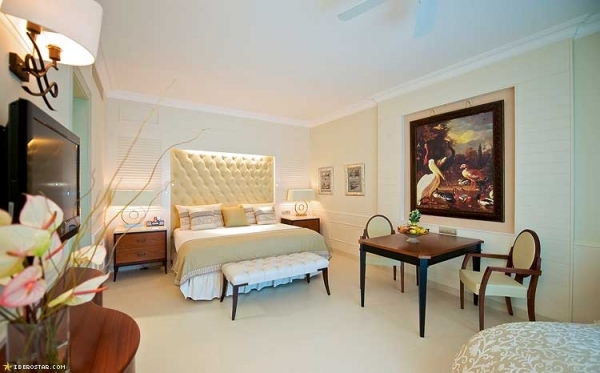 Enjoy your stay at one of the suites of the Catalonia Royal Bavaro Resort providing flat screen television, marbled bathroom with whirlpool tub, minibar and a balcony with lounge sun chairs. The BlueBay Villas Doradas is an All Inclusive resort, designated exclusively for Adults. 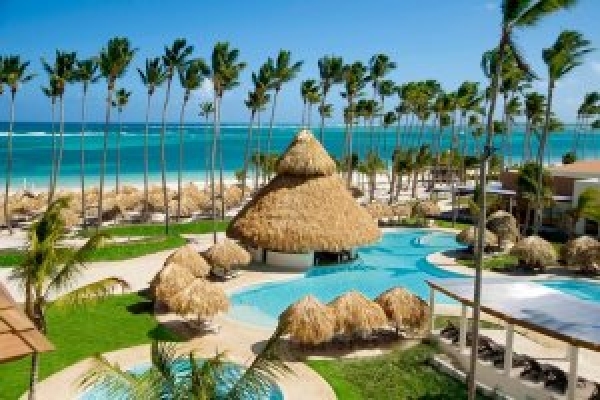 It is a perfect place for couples, to enjoy their wedding or honeymoon in the Dominican Republic. Situated at the seafront by the picturesque, sandy Playa Dorada and cristal clear waters, next to the beautiful Playa Dorada golf-course, which was designed by famous Robert Trent. It comprises of 18 golf-holes and hosts regular local and international competitions. This resort offers accommodation in large and quiet, beautifully decorated guest rooms as well as luxurious suites with beautiful bedroom for relaxation, terrace and hot tub where you can easily get away and chill out. Enjoy this tropical climate and relax in the exclusive BlueBay Villas Doradas Spa, indulging yourself solo or together with your partner, in beauty and vitalizing, ultimate technology treatments, conducted by professional therapists. In terms of Food & Beverage experience, the four restaurants are true haven of peace and culinary excellence. The Hotel Riu Palace Macao was refurbished in 2012 and now boast an adults only hotel of its finest. The 4-storey building in modern style features 364 rooms and is surrounded an enormous beautiful garden. Enjoy wonderful views, day and night time entertainment and the best gastronomy offer as always. Book your RIU Adults Only Hotel now. 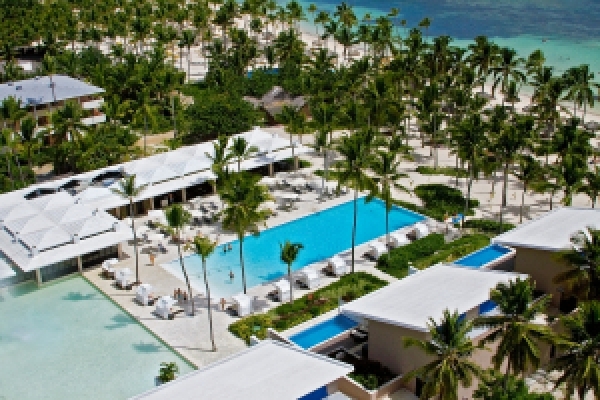 This adults-only resort on the East coast of the Dominican Republic is located right at the Bavaro Beach. Lay back and enjoy the wide variety of facilities this 5 star hotel has to offer, beside a nightly live entertainment, on-site casino and a own SPA area, there are also three restaurants and five bars, besides the outdoor option for dinner or lunch. The rooms from the Secrets Royal Beach Hotel are all provided with flat screen TV, minibar and a furnished balcony or terrace with typical tropical decoration. Enjoy the time with your partner at the big pool area or at the beach side. 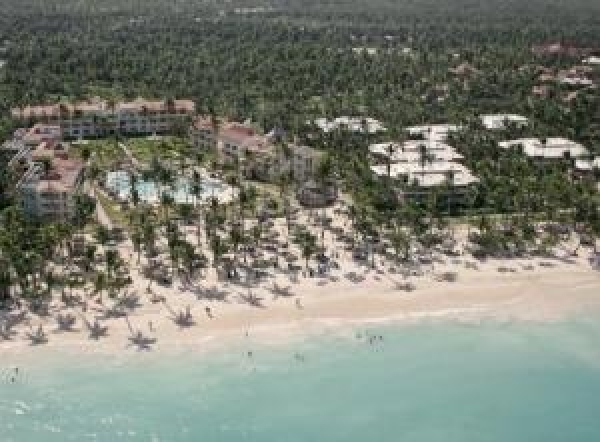 The Bavaro Princess All Suites Resort is located just beside the Bavaro Beach, in Punta Cana, and offers only All-Inclusive option, why the choice between the 5 different restaurants is not that hard at all. Beside an outstanding cuisine, also pool side bars, different day time activities and entertainment only for adults is organized by the hotel and therefore is the perfect place for couples who like to get pampered. Also a Spa and sports area is provided for even more well-being during your holiday. If you feel like playing some cards, the Princess Tower Casino is just next door. 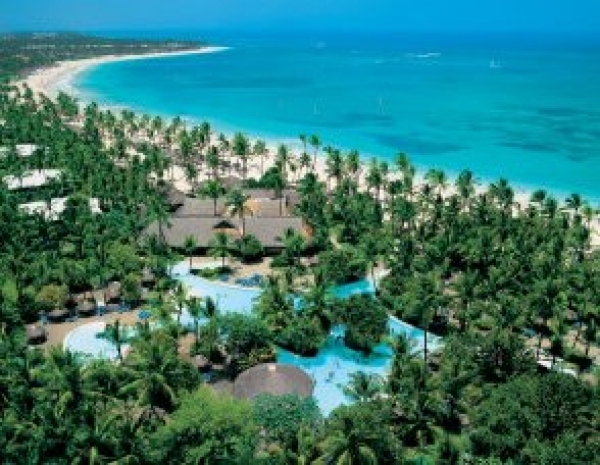 Enjoy a fantastic Adults Only holiday with your couple or friends a this all-inclusive resort, at first beach line. The 5-star hotel features an outdoor swimming pool surrounded by coconut trees and sun loungers, 3 restaurants, 2 bars, including a 24-hour Sports Bar, a gift shop and a theatre where the adults entertainment takes place. 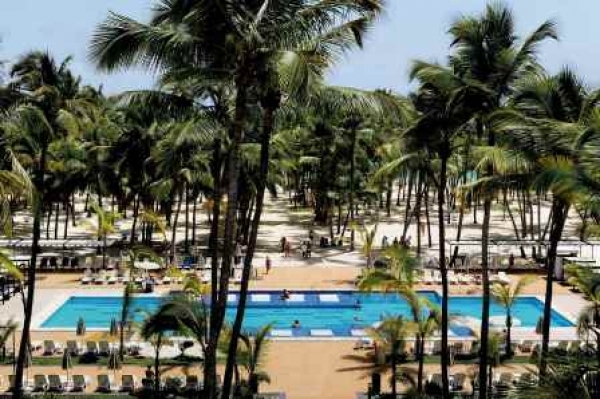 All spacious and air-conditioned rooms at Barceló Bavaro Beach Adults Only All Inclusive feature a balcony or terrace with garden or pool views, a 32-inch flat-screen TV, a mini bar and a private bathroom with bath tub or shower including a bathrobe and slippers. 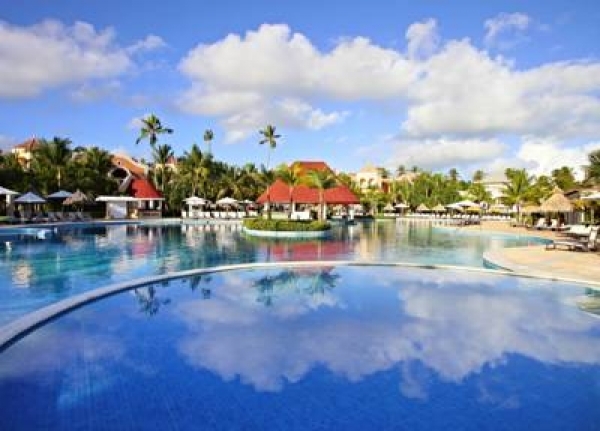 Relax at this first class beach side hotel at your holidays without children in Bavaro.